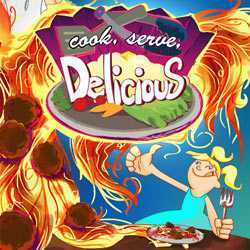 Cook Serve Delicious is a Time Management, Casual and Simulation game for PC published by Vertigo Gaming in 2013. Show skills at cooking! SherriSoda Tower had many customers many years ago. But the customers have left there now. You should cook delicious foods for them again.